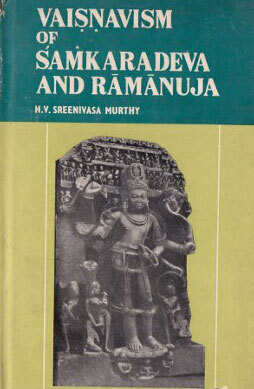 Very interesting and decent research about Shri SamkaraDeva-Acharya (the founder of medieval Bhakti-movement in Assam) in comparison with OM VishnuPad Shree Ramanuja-Acharya's Siddhanta. This survey also has too simplistic rendering of Shree Ramanuja-Siddhanta - no any word about Tenkalai and Vadakalai, for example. And no a single word about Rahasyas and Shree PanchaRatra. The synopsis of Shree Ramanuja-Siddhanta in this survey is suitable only for absolute beginners who just start to get interested in Shree Ramanuja-Sampradaya. In spite of the shortfalls enumerated, the survey is very good, as it has incredibly decent synopsis of main Assamese Bhakti tenets and Shree SamkaraDeva-Acharya bio. So, good if you want to study Assamese Bhakti, but not good if you are interested in the advanced Shree Ramanuja-Siddhanta.